Who doesn't want a cool SHIELD logo that spins on your wrist? 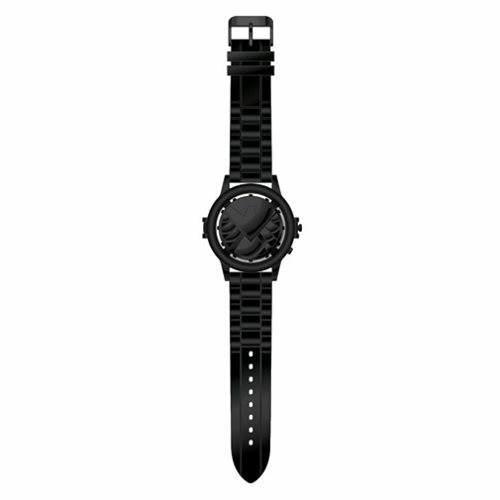 This Agents of SHIELD Icon Spinner Watch features the SHIELD logo in all black with a black band. Press on the latch of the right side of the face to open up the lid to reveal a functioning watch inside! The rubber band measures 8 1/2-inches long and the diameter of the face measures 1 3/4-inches in diameter. Watch comes packaged in a displayable box.